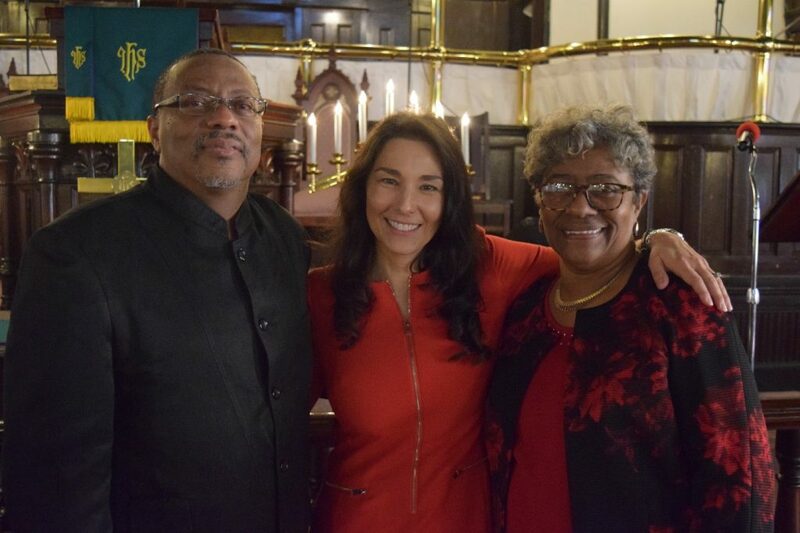 Senior Pastor of Saint Stephen African Methodist Episcopal Church Thomas O’Neal Nixon, Douglass Academy Headmaster Carla Fisher and Constance Drain Greene of Adkins Drain Funeral Home gathered after the Sunday morning service following Thanksgiving to celebrate an $872 offering to Douglass Academy from the families of the church. Ms. Green generously contributed half of the donation – matching an original offering of $436. “We are so thankful to the members of Saint Stephen and will use this contribution to help our students build their futures,” said Ms. Fisher. Douglass Academy, a tuition-free charter school managed by the Roger Bacon Academy, is located at 6th and Red Cross Street in downtown Wilmington.